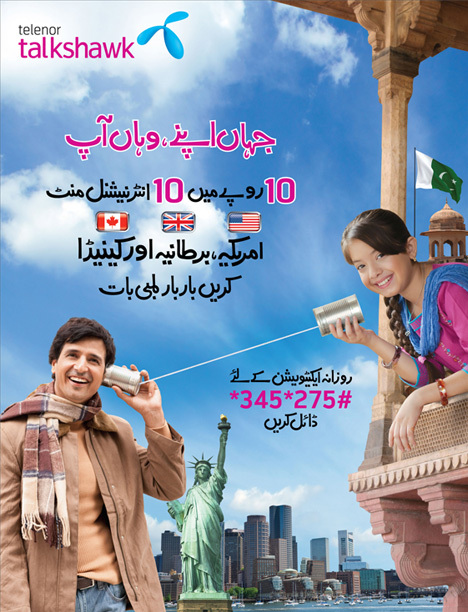 Telenor Talkshawk is now offering its subscribers to call Canada, America and UK for ten minutes in ten rupees which can be used around the clock. You will have to buy a bundle of Rs. 10 plus taxes to get 10 minutes of calling to any number (landline/mobile) in USA, Canada and landline numbers in UK. I subscribed this offer. Telenor sent a message that your request is in queue, second message that you have been successfully subscribed to this offer. Then I called USA, and Telenor charged me regular charges. So Telenor deducted balance twice; once for the subscription and second for the call. Yesterday, I launched a complaint, let’s see what happens next. does this work for greece as well? how to deactivate this offer? is it auto- resubscription everyday?